Established in 1997, we’ve experienced first-hand the evolution of the digital space in South Africa and internationally. This experience is invaluable for our clients, who need the expertise of a stable, ethical and professional team focussed on quality. We are technically and creatively strong, able to quickly grasp the needs of our clients and deliver practical solutions. Our core services are original website design, all aspects of website development including responsive programming for mobile devices, website maintenance, hosting, email marketing, ecommerce solutions, digital marketing and social media campaigns. Additional services include logo, corporate ID, branding, animated presentations as well as print solutions.
" Prior to meeting the Webfactory team, I had been in touch with several other web designers with regards to designing my site. It was a frustrating process that brought no joy. After two briefing sessions with Webfactory, I let them get on with what they thought would make me smile. I was totally impressed by the overall result. And I continue to be impressed by the competent manner in which the site is maintained. Friends who visit the site tell me that they find it to be classy, quirky and refreshing. I am indeed a happy chappy!" " We were looking for a vendor to help us set up a new version of our site - this needed to be more integrated and user-friendly. The look and structure of the site had to be developed with input from various stakeholders which provided its own challenges. It was also important that the website could be managed in-house by computer-literate but non-IT-specialists to keep the site up-to-date. Webfactory responded keenly to our request to redesign our site at favourable rates and were confident that they could provide Rondebosch with one of the best school sites in the country. The site they developed is fast, easy to navigate and has easy access to downloads and current information. Webfactory have successfully managed to encapsulate the very essence of the “Rondebosch family” by way of design, colour and space. Rondebosch Boys’ Schools are delighted with the end result." The Sunflower Fund is a non-profit organisation that fights blood diseases like Leukaemia through the recruitment of stem cell donors and maintaining a registry of potential donors committed to helping anyone in need of a life-saving stem cell transplant. The brief was to create a clean, user friendly website that was easy to navigate with clear purpose statements. The website allows for online donations via a variety of payment gateways. 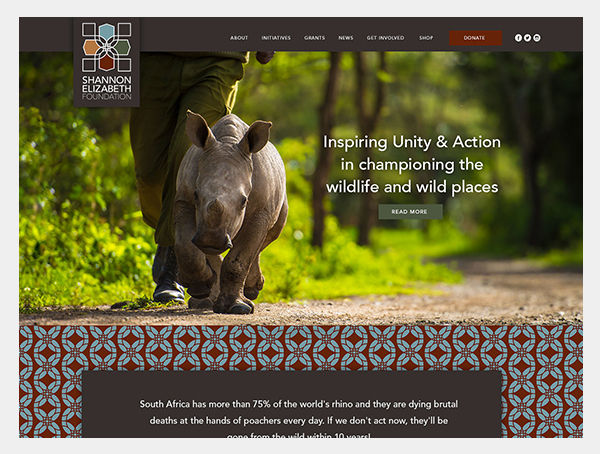 The Shannon Elizabeth Foundation, founded by American actress Shannon Elizabeth, creates awareness of broader conservation issues, particularly the developing poaching crisis in Africa. 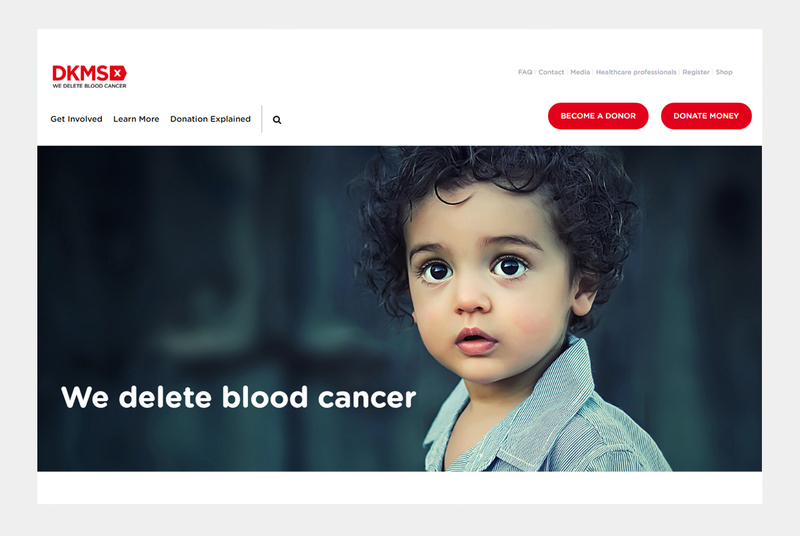 The website, designed around the corporate identity, includes a blog, newsletter signups intergrated with Mailchimp and a donation platform. In the near future, an online shopping cart will be added.